Just enough, just in time training. 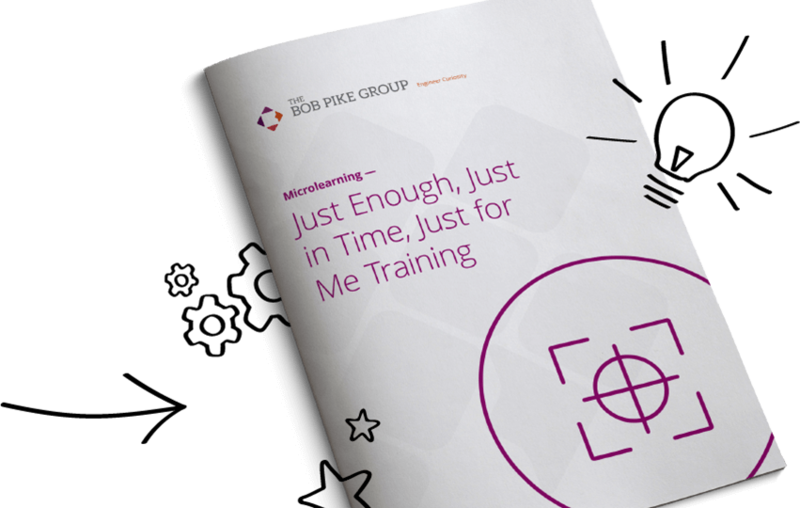 The average microlearning takes 13 minutes to complete, but most users quit less than halfway through! In this workshop, discover practical ways to deliver content in smaller, specific bursts for “just enough, just in time” segments. Experience how fun and easy microlearning can be, and learn a repeatable process to create your own microlearning videos, self-paced e-learning, and visual tools. This workshop is a creative lab experience—bring an existing program or new content, and leave with your first microlearning units 100% ready to launch. Explore platforms and tools like Raptivity and UMU and discover ways to integrate microlearning to online and live training. Show your manager how attending a Microlearning workshop can measurably benefit your team and your company.